For the film, see 22 June 1897. June 22 is the 173rd day of the year(174th in leap years) in the Gregorian calendar. 192 days remain until the end of the year. On this day the Summer solstice may occur in the Northern Hemisphere, and the Winter solstice may occur in the Southern Hemisphere. The summer solstice, also known as midsummer, occurs when one of the Earth's poles has its maximum tilt toward the Sun. It happens twice yearly, once in each hemisphere. For that hemisphere, the summer solstice is when the Sun reaches its highest position in the sky and is the day with the longest period of daylight. At the pole, there is continuous daylight around the summer solstice. On the summer solstice, Earth's maximum axial tilt toward the Sun is 23.44°. Likewise, the Sun's declination from the celestial equator is 23.44°. The winter solstice, also known as midwinter, occurs when one of the Earth's poles has its maximum tilt away from the Sun. It happens twice yearly, once in each hemisphere. For that hemisphere, the winter solstice is the day with the shortest period of daylight and longest night of the year, when the Sun is at its lowest daily maximum elevation in the sky. 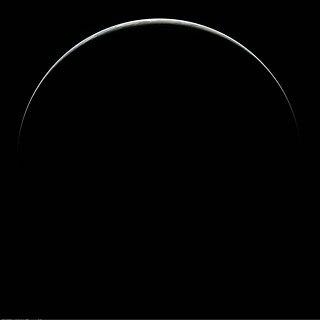 At the pole, there is continuous darkness or twilight around the winter solstice. Its opposite is the summer solstice. 217 BC – Battle of Raphia: Ptolemy IV Philopator of Egypt defeats Antiochus III the Great of the Seleucid kingdom. 168 BC – Battle of Pydna: Romans under Lucius Aemilius Paullus defeat Macedonian King Perseus who surrenders after the battle, ending the Third Macedonian War. 813 – Battle of Versinikia: The Bulgars led by Krum defeat the Byzantine army near Edirne. Emperor Michael I is forced to abdicate in favor of Leo V the Armenian. 910 – The Hungarians defeat the East Frankish army near the Rednitz River, killing its leader Gebhard, Duke of Lotharingia (Lorraine). 1527 – Fatahillah expels Portuguese forces from Sunda Kelapa, now regarded as the foundation of Jakarta. 1593 – Battle of Sisak: Allied Christian troops defeat the Ottomans. 1622 – Portuguese forces repel a Dutch invasion at the Battle of Macau during the Dutch–Portuguese War. 1633 – The Holy Office in Rome forces Galileo Galilei to recant his view that the Sun, not the Earth, is the center of the Universe in the form he presented it in, after heated controversy. 1774 – The British pass the Quebec Act, setting out rules of governance for the colony of Quebec in British North America. 1783 – A poisonous cloud caused by the eruption of the Laki volcano in Iceland reaches Le Havre in France. 1807 – In the Chesapeake–Leopard Affair, the British warship HMS Leopard attacks and boards the American frigate USS Chesapeake. 1813 – War of 1812: After learning of American plans for a surprise attack on Beaver Dams in Ontario, Laura Secord sets out on a 30 kilometer journey on foot to warn Lieutenant James FitzGibbon. 1825 – The British Parliament abolishes feudalism and the seigneurial system in British North America. 1839 – Cherokee leaders Major Ridge, John Ridge, and Elias Boudinot are assassinated for signing the Treaty of New Echota, which had resulted in the Trail of Tears. 1870 – The United States Department of Justice is created by the U.S. Congress. 1893 – The Royal Navy battleship HMS Camperdown accidentally rams the British Mediterranean Fleet flagship HMS Victoria which sinks taking 358 crew with her, including the fleet's commander, Vice-Admiral Sir George Tryon. 1897 – British colonial officers Charles Walter Rand and Lt. Charles Egerton Ayerst are assassinated in Pune, Maharashtra, India by the Chapekar brothers and Mahadeo Vinayak Ranade, who are later caught and hanged. 1898 – Spanish–American War: The US Fifth Army Corps lands in Cuba. 1907 – The London Underground's Charing Cross, Euston and Hampstead Railway opens. 1911 – George V and Mary of Teck are crowned King and Queen of the United Kingdom of Great Britain and Ireland. 1918 – The Hammond Circus Train Wreck kills 86 and injures 127 near Hammond, Indiana. 1940 – World War II: France is forced to sign the Second Compiègne armistice with Germany, in the same railroad car in which the Germans signed the Armistice in 1918. 1941 – World War II: Nazi Germany invades the Soviet Union in Operation Barbarossa. 1942 – World War II: Erwin Rommel is promoted to Field Marshal after the capture of Tobruk. 1942 – The Pledge of Allegiance is formally adopted by US Congress. 1944 – World War II: Opening day of the Soviet Union's Operation Bagration against the Army Group Centre. 1944 – U.S. President Franklin D. Roosevelt signs into law the Servicemen's Readjustment Act of 1944, commonly known as the G.I. Bill. 1945 – World War II: The Battle of Okinawa comes to an end. 1969 – The Cuyahoga River catches fire in Cleveland, Ohio, drawing national attention to water pollution, and spurring the passing of the Clean Water Act and the creation of the Environmental Protection Agency. 1978 – Charon, Pluto's first satellite, was discovered at the United States Naval Observatory by James W. Christy. 1984 – Virgin Atlantic Airways launches with its first flight from London Gatwick Airport. 1986 – The famous Hand of God goal, scored by Diego Maradona in the quarter-finals of the 1986 FIFA World Cup match between Argentina and England, ignites controversy. This was later followed by the Goal of the Century. Argentina wins 2–1 and later goes on to win the World Cup. 1990 – Cold War: Checkpoint Charlie is dismantled in Berlin. 2002 – An earthquake measuring 6.5 Mw strikes a region of northwestern Iran killing at least 261 people and injuring 1,300 others and eventually causing widespread public anger due to the slow official response. 2009 – A Washington D.C Metro train traveling southbound near Fort Totten station collides into another train waiting to enter the station. Nine people are killed in the collision (eight passengers and the train operator) and at least 80 others are injured. 2012 – Paraguayan President Fernando Lugo is removed from office by impeachment and succeeded by Federico Franco. 2012 – A Turkish Air Force McDonnell Douglas F-4 Phantom II fighter plane is shot down by the Syrian Armed Forces, killing both of the plane's pilots and worsening already-strained relations between Turkey and Syria. 2015 – The Afghan National Assembly building is attacked by gunmen after a suicide bombing. All six of the gunmen are killed and 18 people are injured. Year 217 BC was a year of the pre-Julian Roman calendar. At the time it was known as the Year of the Consulship of Geminus and Flaminius/Regulus. The denomination 217 BC for this year has been used since the early medieval period, when the Anno Domini calendar era became the prevalent method in Europe for naming years. The Battle of Raphia, also known as the Battle of Gaza, was a battle fought on 22 June 217 BC near modern Rafah between the forces of Ptolemy IV Philopator, king and pharaoh of Ptolemaic Egypt and Antiochus III the Great of the Seleucid Empire during the Syrian Wars. It was one of the largest battles of the Hellenistic kingdoms and was one of the largest battles of the ancient world. The battle was waged to determine the sovereignty of Coele Syria. Ptolemy IV Philopator, son of Ptolemy III and Berenice II, was the fourth Pharaoh of Ptolemaic Egypt from 221 to 204 BC. 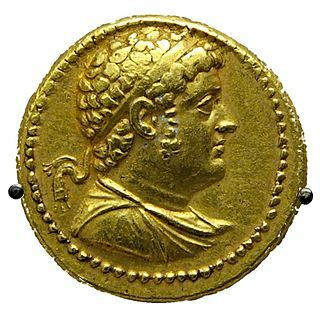 The decline of the Ptolemaic dynasty began under the reign of Ptolemy IV. Year 662 (DCLXII) was a common year starting on Saturday of the Julian calendar. The denomination 662 for this year has been used since the early medieval period, when the Anno Domini calendar era became the prevalent method in Europe for naming years. Emperor Ruizong of Tang, personal name Li Dan, also known at times during his life as Li Xulun, Li Lun, Wu Lun, and Wu Dan, was the fifth and ninth emperor of Tang Dynasty. He was the eighth son of Emperor Gaozong and the fourth son of Emperor Gaozong's second wife Empress Wu. Year 916 (CMXVI) was a leap year starting on Monday of the Julian calendar. Year 431 (CDXXXI) was a common year starting on Thursday of the Julian calendar. At the time, it was known as the Year of the Consulship of Bassus and Antiochus. The denomination 431 for this year has been used since the early medieval period, when the Anno Domini calendar era became the prevalent method in Europe for naming years. Paulinus of Nola, born Pontius Meropius Anicius Paulinus, was a Roman poet, writer, and senator who attained the ranks of suffect consul and governor of Campania but—following the assassination of the emperor Gratian and under the influence of his Spanish wife Therasia—abandoned his career, was baptized as a Christian, and became bishop of Nola in Campania. While there, he wrote poems in honor of his predecessor St Felix and corresponded with other Christian leaders throughout the empire. He is traditionally credited with the introduction of bells to Christian worship and helped resolve the disputed election of Pope Boniface I. Year 910 (CMX) was a common year starting on Monday of the Julian calendar. Saint Aaron of Aleth, also called Saint Aihran or Eran in Breton, was a sixth-century hermit, monk and abbot at a monastery on Cézembre, a small island near Aleth, opposite Saint-Malo in Brittany, France. Some sources say that he was born of British stock in Armorican Domnonia. 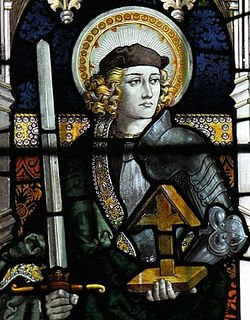 Saint Alban is venerated as the first-recorded British Christian martyr, for which reason he is considered to be the British protomartyr. Along with fellow Saints Julius and Aaron, Alban is one of three named martyrs recorded at an early date from Roman Britain. 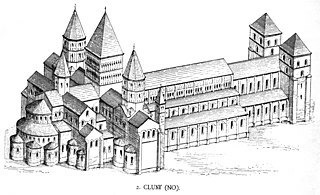 He is traditionally believed to have been beheaded in the Roman city of Verulamium sometime during the 3rd or 4th century, and his cult has been celebrated there since ancient times. 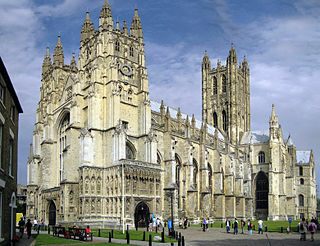 Anglicanism is a Western Christian tradition which has developed from the practices, liturgy and identity of the Church of England following the English Reformation. April 13 is the 103rd day of the year in the Gregorian calendar. 262 days remain until the end of the year. January 17 is the 17th day of the year in the Gregorian calendar. 348 days remain until the end of the year. January 14 is the 14th day of the year in the Gregorian calendar. 351 days remain until the end of the year. November 19 is the 323rd day of the year in the Gregorian calendar. 42 days remain until the end of the year. November 8 is the 312th day of the year in the Gregorian calendar. 53 days remain until the end of the year. November 3 is the 307th day of the year in the Gregorian calendar. 58 days remain until the end of the year. October 18 is the 291st day of the year in the Gregorian calendar. 74 days remain until the end of the year. September 21 is the 264th day of the year in the Gregorian calendar. 101 days remain until the end of the year. August 20 is the 232nd day of the year in the Gregorian calendar. 133 days remain until the end of the year. ↑ Olmo, Guillermo D. (2011-07-19). "La derrota más amarga del Ejército español". ABC (in Spanish). Retrieved 2018-09-06. ↑ Rodgers, Lucy; Ahmed, Maryam (April 27, 2018). "Windrush: Who exactly was on board?". BBC News . Retrieved April 28, 2018. ↑ "Carson Daly Biography: Television Host (1973–)". Biography.com (FYI / A&E Networks). Retrieved December 28, 2015. ↑ "Exclusive biography of @actorvijay and on his life.". ↑ Dal Borgo, Michela (2005). "LOREDAN, Leonardo". Dizionario Biografico degli Italiani (in Italian). 65. ↑ Schiavone, Michael J. (2009). Dictionary of Maltese Biographies Vol. II G-Z. Pietà: Pubblikazzjonijiet Indipendenza. p. 1711. ISBN 9789993291329. ↑ "Vinnie Paul, Legendary Drummer for Pantera & Damageplan, Dead at 54". Bilboard . Retrieved June 23, 2018. Wikimedia Commons has media related to June 22 .